It might seem like an unusual concept, but Chinese food at Christmas is not a new thing. In fact, for many Jewish Americans it’s almost considered a ‘tradition’ – since both groups do not normally celebrate the Christian holiday, many Chinese takeouts are the only restaurants open on Christmas Day! The idea of serving an alternative cuisine for the winter holiday is becoming more widespread, and what better festive gift than to surprise your loved ones with a warming, homely taste of the East? 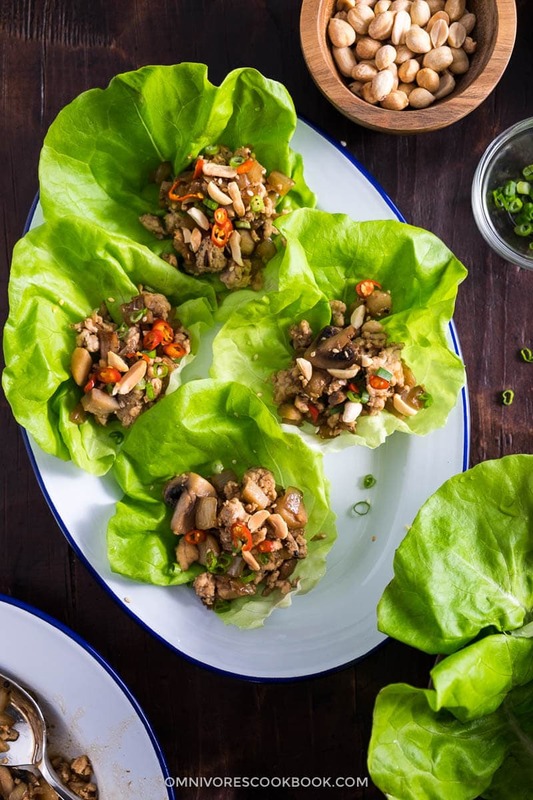 Not only can properly prepared, authentic Chinese food be less labor-intensive than the customary feast with all its excesses, it’s also super healthy and relatively light, leaving you without that seasonal turkey-bloated feeling! Much like a warming mulled wine, the depth and intensity of Chinese flavors are the perfect counterbalance for the chilly weather outside. Below are some of my favorite Chinese Christmas recipes; so impress at your family gathering with a few of these straightforward dishes and still have energy for the party! Little pockets bursting with flavor, replace your pigs in blankets with this healthier Chinese option. 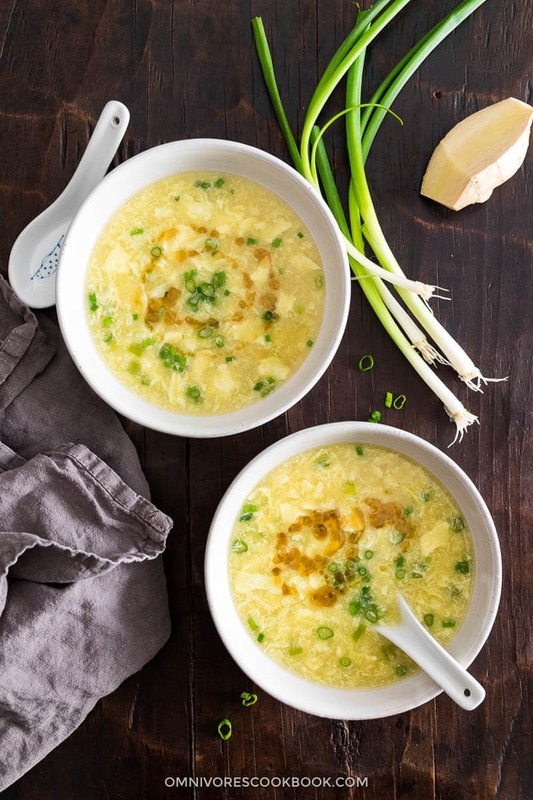 Bring your friends and family out of the cold and into the warmth with this restaurant-inspired Egg Drop soup. 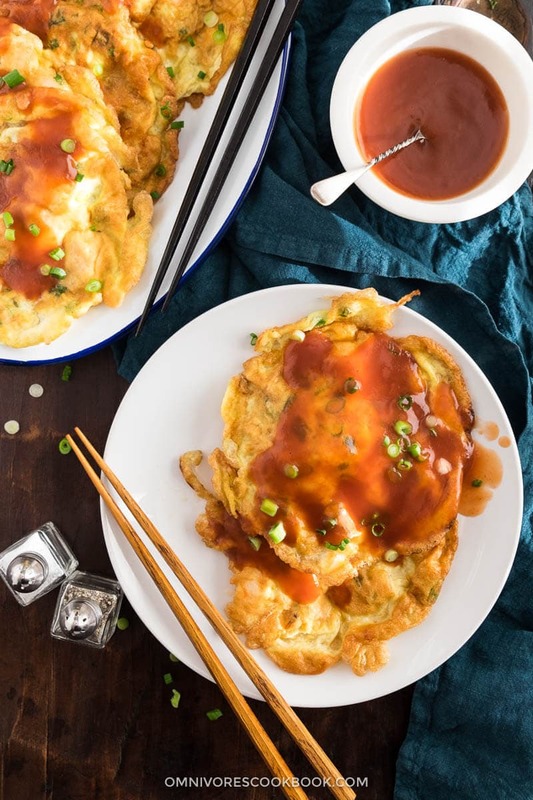 Light and airy yet filling, this adaptable Shrimp Egg Foo Young offers that cosy Christmas feeling. 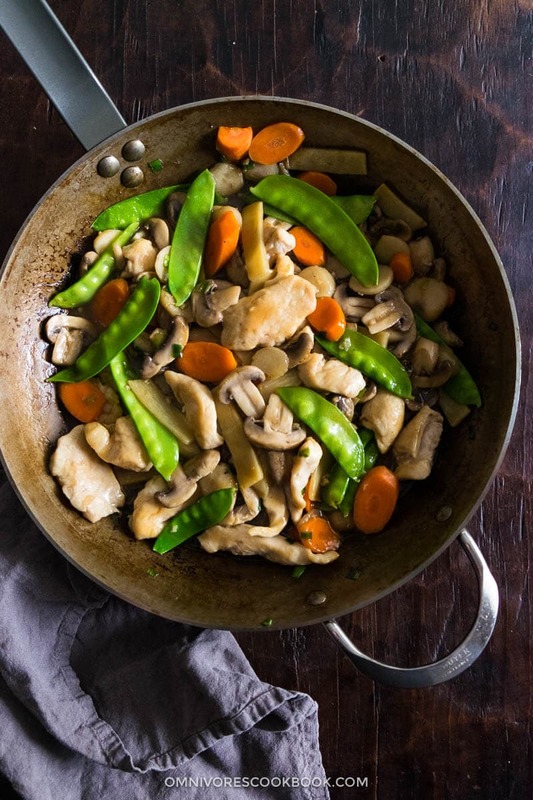 Surprise with a classic stir-fry: moo goo gai pan provides all the winter nutrients you need! Bored of ham? 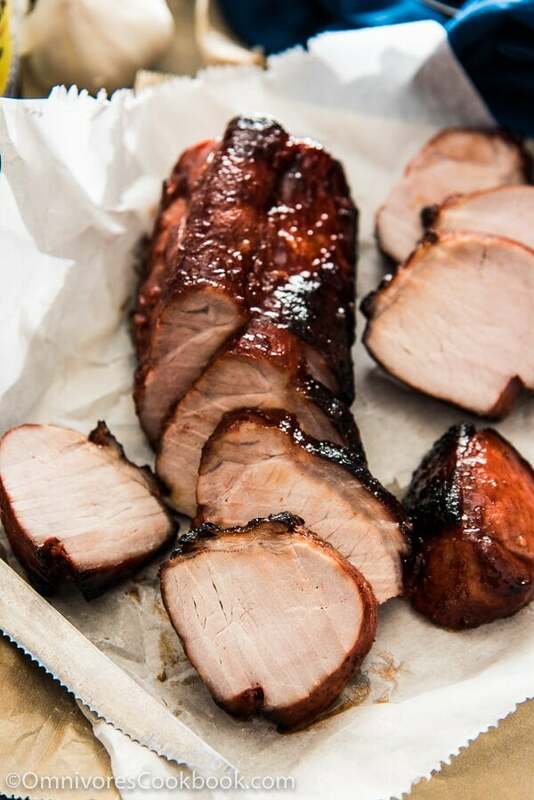 Chinese BBQ Char Siu is the perfect main dish to serve as your Christmas centerpiece. 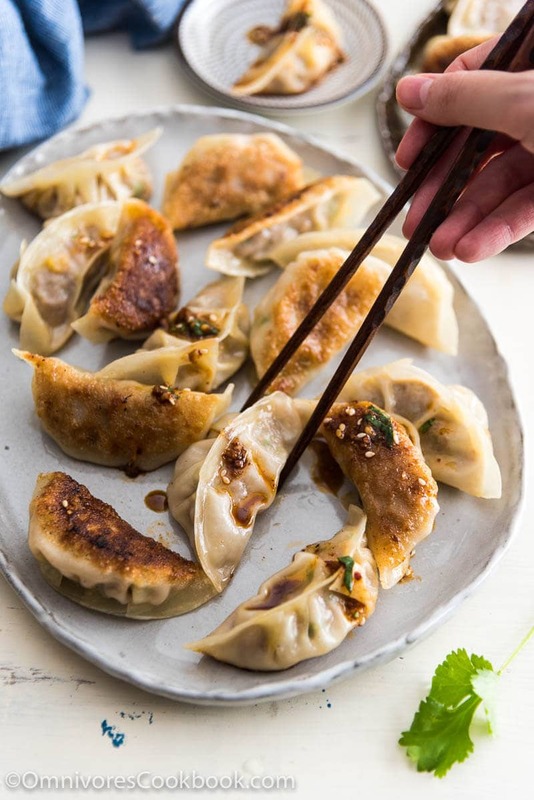 Cook this true takeout classic the real Chinese way! Tofu at Christmas? Yes! 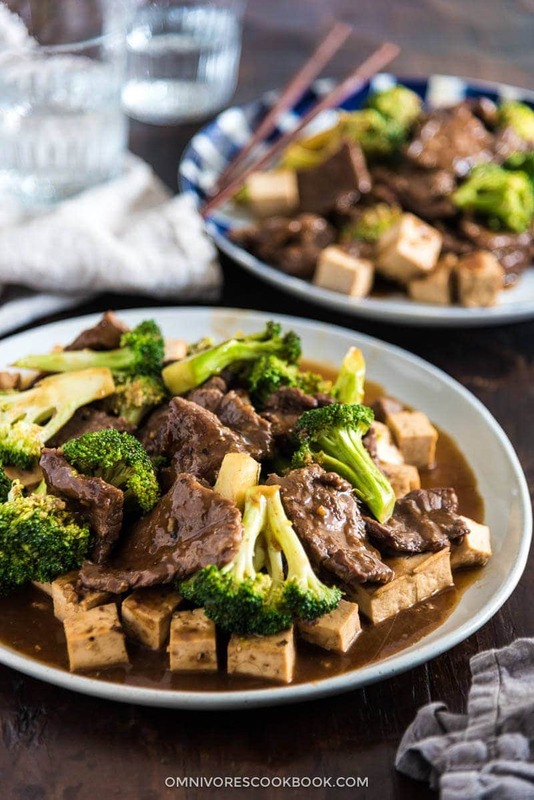 Paleo-friendly, this one-pan Chinese beef and broccoli dish is extra hearty and nourishing. 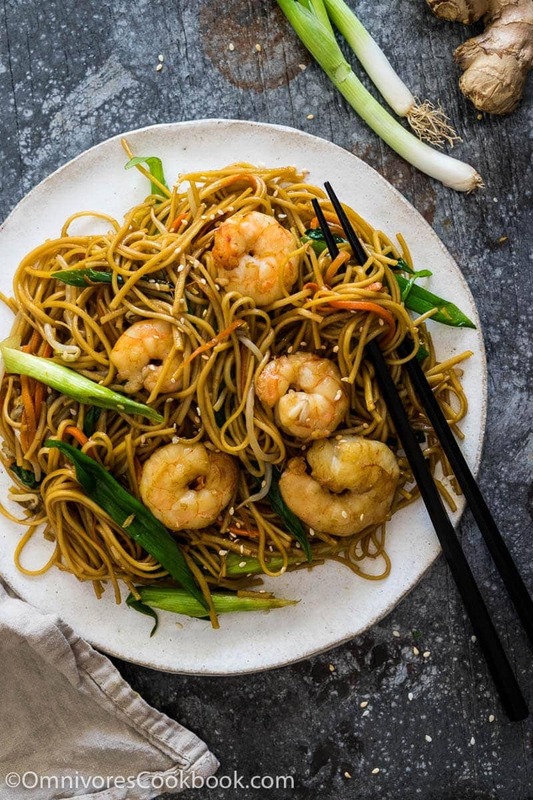 Shrimp chow mein is loaded with vegetables and abundant flavors. It’s a healthy one-pot meal you can prep and cook in 20 minutes; an ideal Boxing Day lunch. 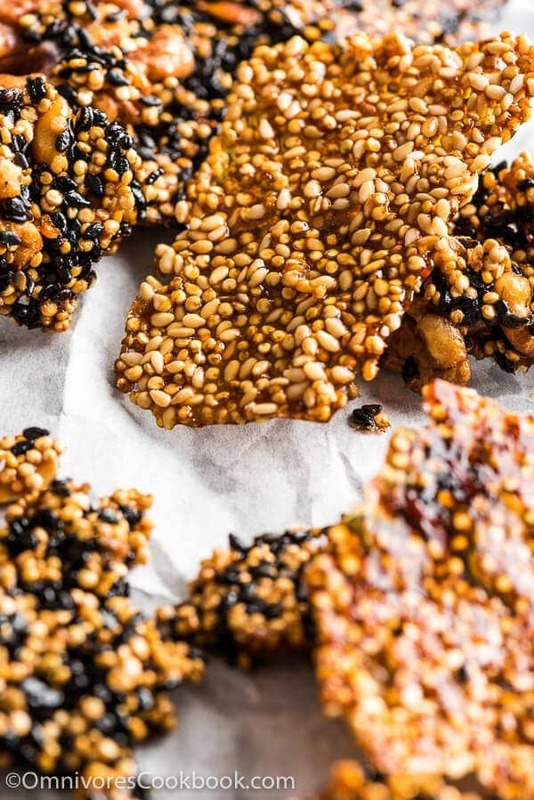 This crispy and nutty quinoa sesame brittle makes the perfect sweet Christmas snack without the guilt, at only 150 calories per serving. Have a happy Chinese Christmas! 圣诞快乐! Chinese food for Christmas? Lovely thought, but nope. Our family has a 50-year tradition of Chinese for New Year’s. The core menu is steamed rice, fried rice, beef chop suey (with lots of broth), deep-fried battered turkey, sweet-and-sour turkey, dry garlic spare ribs, vegetable stir-fry (with or without noodles), steamed veggies, and egg rolls or spring rolls. From there, the additions to the menu change according to the number of guests and their preferences (and the cook’s urge to experiment) that year. 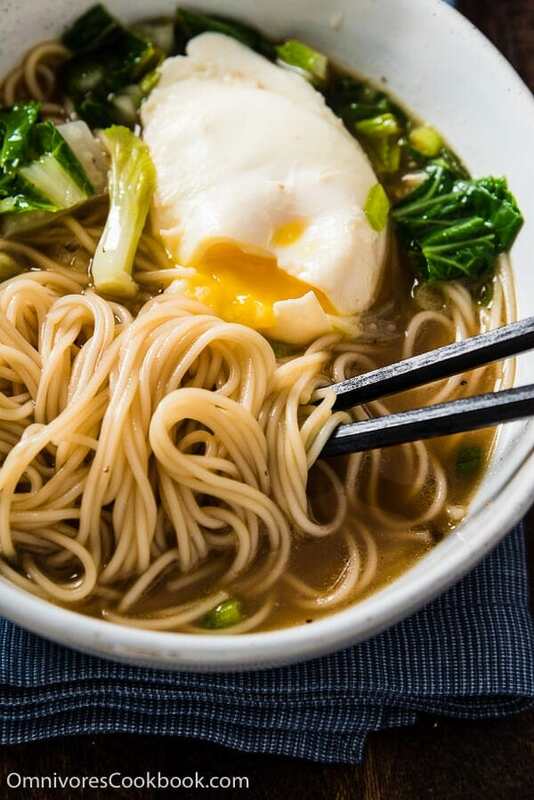 For my family, Christmas dinner is the realm of roasted bird or ham or salmon and all the fixings, but New Year is reserved strictly for Chinese food, and it must be all from scratch, even the noodles. Except for egg roll and won-ton wrappers, because I can never get them thin enough without tearing them. I love the idea of doing a non traditional holiday dinner. This last new years my boyfriend and I made chow mein, walnut shrimp, and sweet and sour chicken. It was delicious and exciting! Speaking of Christmas dinner, once my siblings and I were left to our own devices because the parents were travelling so we made a complete Italian feast with zuppa Toscana, creamy shrimp pasta, homemade breadsticks. It is an experience I will always treasure. 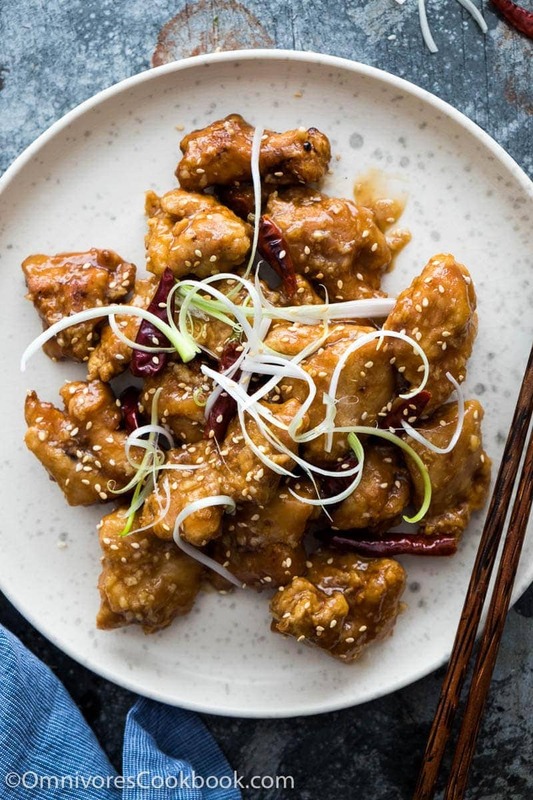 I think i will do another Chinese feast for new years this year as your general tso’s chicken recipe looks awesome!